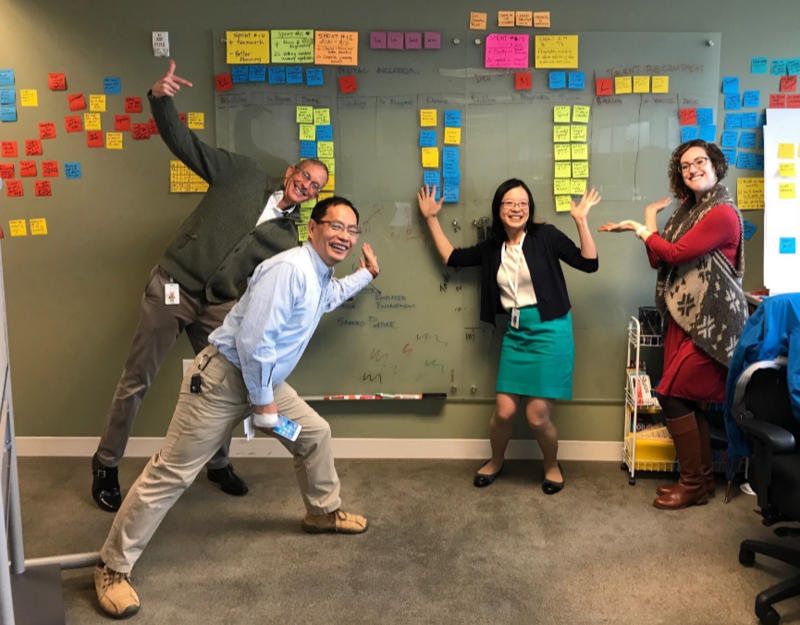 Michelle Thong, Service Innovation Lead at the City of San Jose, writes on Medium that “Scrum is the best thing that happened to our government team,” explaining how agile Scrum processes have allowed her team to prioritize work more effectively, develop productive habits, and stay aligned as projects progress. The team recently selected Scrum as the single most compelling practice from their past year of work to transmit to their organization — a city government of 6,000 employees. Giving a brief overview of how Scrum works on her team, Thong shows how helpful the method can be for government agencies with big missions and many problems to solve. Scrum creates unprecedented transparency among our team regarding priorities, progress, and impediments. Sprint goals and tasks are up on the wall for all to see. Every day, I count on our 15 minute stand-up meeting to get clarity on my tasks and how they fit with the rest of the team. In my experience, these high frequency but short duration check-ins are much more efficient at alignment than weekly team meetings.